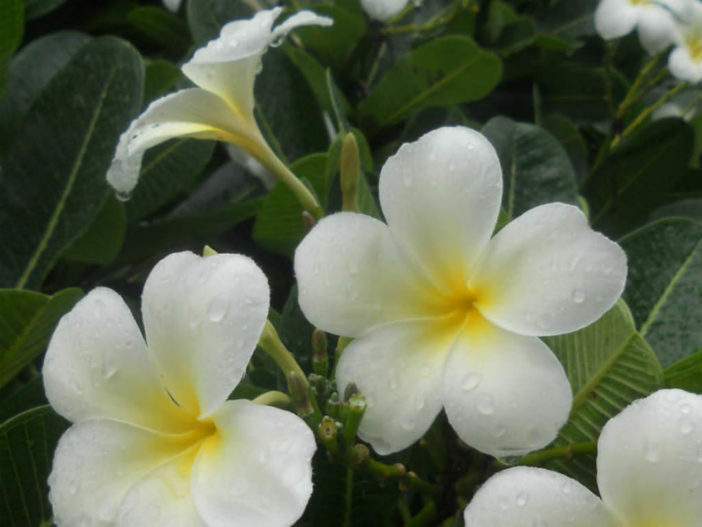 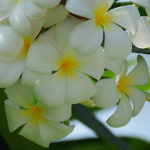 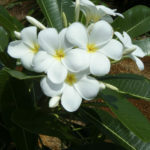 Plumeria obtusa is a small shrub or tree up to 20 feet (6 m) tall with widely spaced thick succulent branches. 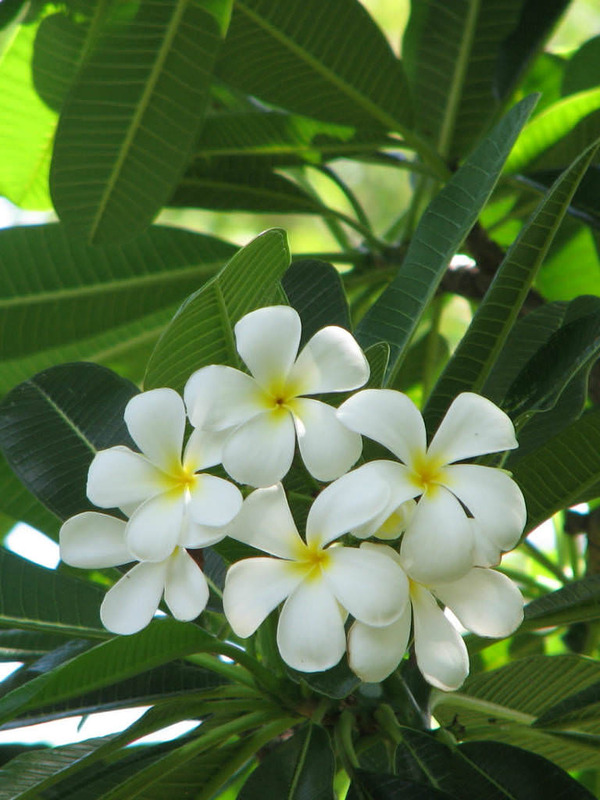 The leaves are found in clusters near the tips of the branches. 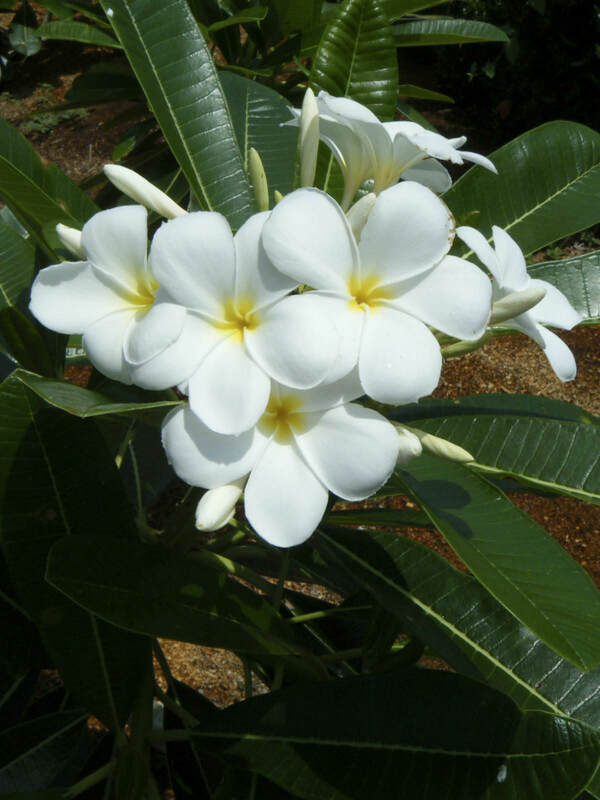 They are large, dark green, glossy, with obtuse tips. 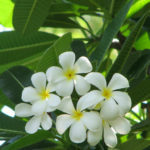 The flowers are fragrant, 5-petaled, and white with a small yellow center, borne in clusters at the ends of the branches on a long thick stalk. 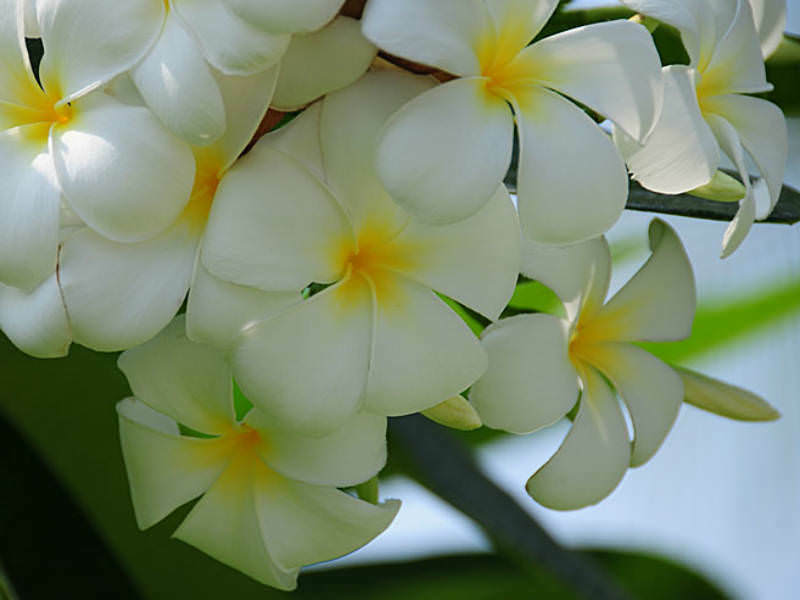 Native to the Bahamas and the Greater Antilles in Central America.